What exactly does "Galactic Republic" represent? Who else could be a part of this? I'll give you a hint, it's not the sith empire, the separatist, the new republic, the First Order or the Empire. My money's on the Galactic Republic from SW Ep 1-3, but that's just a shot in the dark. Clearly. But for example, Mace Windu's tag for his ship is simply Republic. No Galactic. So are they changing it and adding more Republic era toons maybe? Maybe they'll do a Phoenix squad style month long event thing. Releasing a bunch of Republic toons. Republic tag is ship specific. Galactic Republic tag will probably be reserved for toons only. If you look in the game at the moment, and sort the characters by the 'republic' tag, NOBODY comes up in the character roster. I think Mace used to come up under that tag, like his ship still does? I'm bracing for R2-Gate! Where people incessantly whine at not being able to unlock or 7* him. If they do 3-PO they need to do him with a red arm that has some special ability. Or, maybe his main attack is talking people to death. Luke, not like he's arguably the most central figure throughout ALL of the movies or something. Unless you're an Empire fan and think that's Vader. Like my Avatar says "It's a Trap!" Not an empire fan, but you've got to explain how your central figure has a combined five minutes of screen time in four of the seven movies. They have every tag in the game under one filter setter for both toons and ships. Separatist ships and toons both have the separatist tag so one would think since they already have a republic tag in the game, but only ships have it, that the Galactic Republic tag will go to toons only. R2D2 is a joke compared to Dart Nihilus. I'm starting to feel that I don't like the idea of characters balance in this game. When I imagine how would a "real" fight between Nihilus (who can drain force from entire planet) and R2D2 (bucket on wheels) would look like, I understand that this game is ****. If this was a Star Wars simulator then you would have a point, but it's not. Jedi and Clone ships r already Republic tagged. If you haven't noticed, when viewing each ship, there is a square on the bottom right that says "Hardware abilities coming soon" The Galactic Republic tag could be for a ship hardware ability. This would make sense and would actually be pretty cool, since droids such as R2 can be put into various ships, as in the movies. So maybe you can load whichever droid you want into a ship to give it different stats/abilities, as long as the droid's tag matches the ship type. Maybe I am thinking too much into this, as this would be a huge update to the ships. The same bucket on wheels that single handedly won a faceoff against Sing, Boba, and Bossk in order to rescue Mace and Anakin??? @capsking22 Actually I think you may be onto something. Ships have been needing a huge update for awhile now, and the developers clearly have every intention on releasing one (hopefully here in the near future). 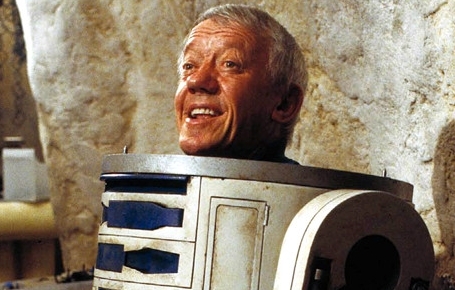 Empty hardware ability slots have been taunting us for awhile now and R2D2 would be the perfect way to add those into the game; especially considering that Astromechs (such as R2D2) were intentionally created to serve that exact purpose. You're a genius Capsking, I'm going to go polish up my x-wing now. Could this also mean the addition of hardware abilities for ships? Awesome! So glad he has the resistance tag! And the republic becoming a new faction is awesome. Don't listen to all the whiners, so far so good! If my post is onto something, then yes. We don't know anything yet. Hopefully soon. We're going to get three R2s right? Seen someone said on this thread said he may be obtainable from ship raids. LoL ok cause there are enough ships released for an actual ship raid to even exist at the moment? There's actually a lil midget inside. Nailed it!! That's why R2 is such a powerfull Force wielder! ...we'll reveal more details about him tomorrow!